Near Waltham Street, site of old paper mill. Dam washed out with the Paper Mill Bridge in 1927. Assabet River went on a rampage after a terrific rainstorm. About 1829 a paper mill was built at the corner of Summer and Parker Streets, using the water privilege at that point. 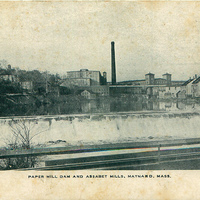 Mill was built by William May, water passing into the hands of William Parker, and then William Parker's son, William T. Parker, who ran it until August 1, 1882. 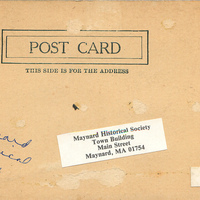 Itw was purchased by Maynard & Hemenway for the water privilege, although they never used it, and sold it on September 1895 to the Assabet Manufacturing Company. The old buildings were destroyed by fire on May 14, 1894 with only the chimney remaining. 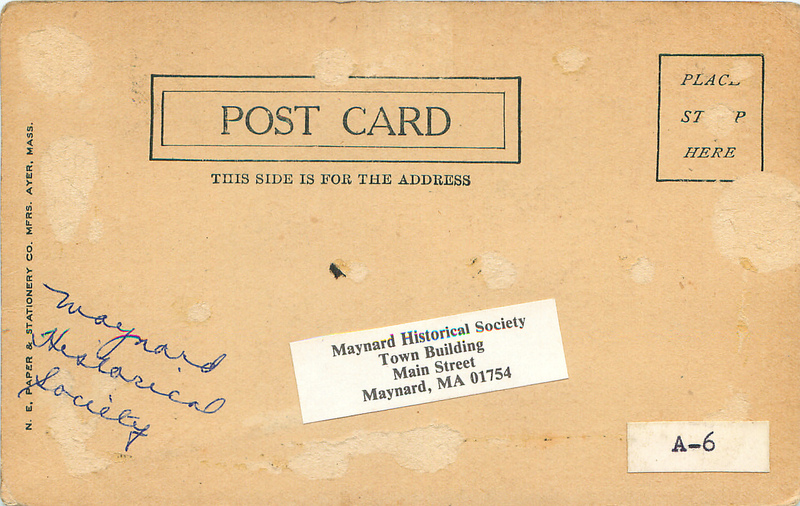 Torn down August 14, 1914. The water for papermaking was taken from the brook that rises near Glenwood Cemetery. 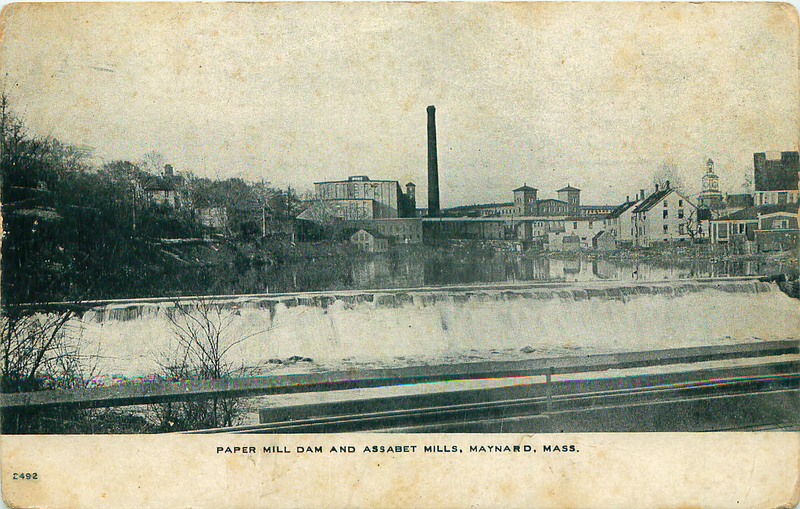 “Paper Mill Dam and Assabet Mills - Early 1900s,” Maynard Historical Society Archives, accessed April 25, 2019, http://collection.maynardhistory.org/items/show/341.